Like most of us, I got fed up with the measly British weather so I decided to jet off to Spain for a while. After travelling the country for 6 weeks last summer I wanted to visit somewhere new, so flew into Alicante, south of the Valencia region. I decided to go off the beaten track in a bid to get away from the inevitable British tourists (my pet hate) so booked a little B&B in the country between Gran Alicant and Santa Pola (about a 30min car journey from Alicante). The B&B turned out to be someone’s house with me being the only guest which is perfect as it means I have the pool (below) to myself! As always, I went in search for the best cake in town. I read about a little place tucked away amongst an estate of holiday villas called “Not Just Desserts” so I marked it on my map and set off. I am writing this post sampling the cake as we speak. When presented with the menu, in which I saw the usual baguettes/jackets/burgers etc, I immediately asked the owner “but what about the desserts!” He kindly pointed to the counter at the bar and I made my way over. The selection of cakes was impressive for Spain (carrot cake/Victoria sponge/egg custard tart) and then it suddenly clicked; the owners were English and every other person around me were English – doh! 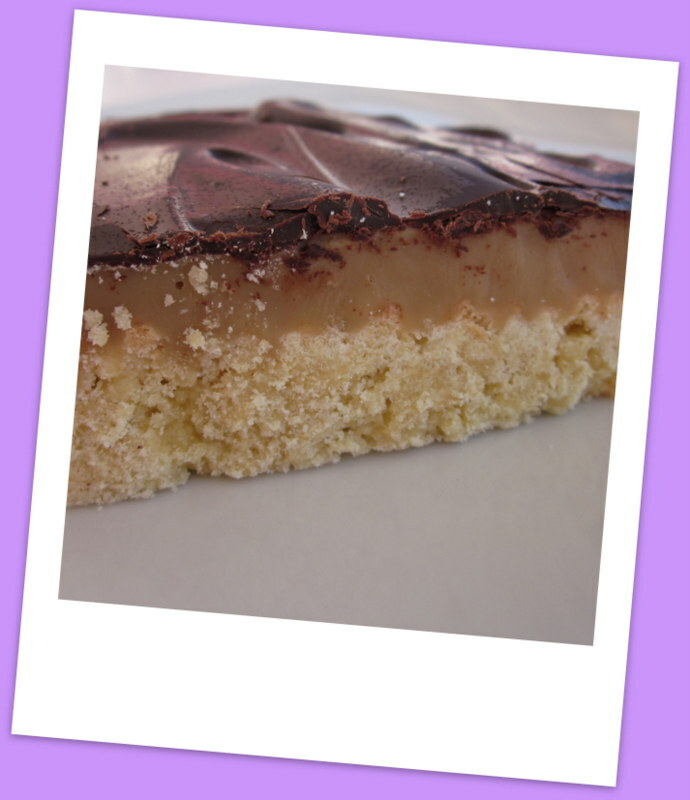 English tourists put aside, I chose a caramel slice or a millionaire shortbread if you’d prefer. The owner brought it out on a plate with a knife and fork which I thought was nice, as cakes are best eaten with cutlery. The shortbread base is reasonably average and very tough to break up with my knife. However, it is nice and crumbly and also thick, which made it filling enough for lunch. The caramel sauce was nice and soft (this may have been a result of the 28c heat) and held the layers together well so it was easy enough to eat with your hands, if preferred. The chocolate topping was a little crispy (like the top of a brownie) but melted once in your mouth which scored a few bonus points.